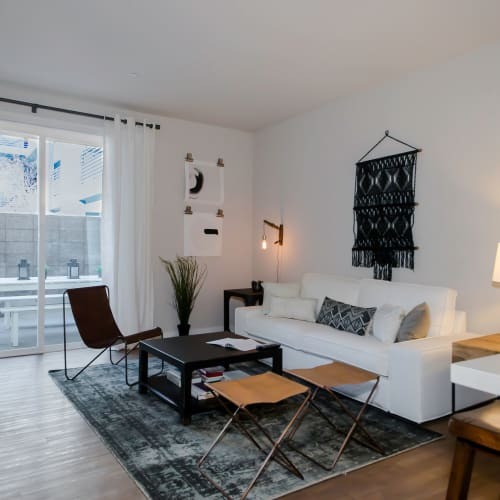 Welcome to IMT Sherman Circle, where comfortable apartments meet luxury elements to create a desirable lifestyle in a convenient location. 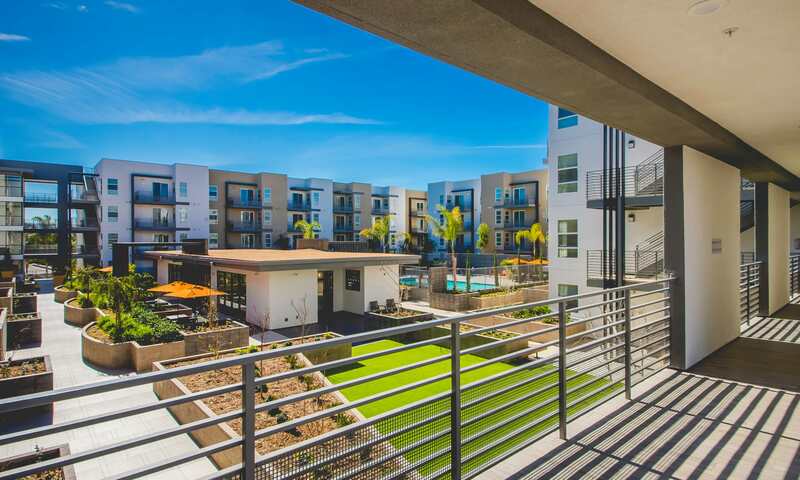 Here, you’ll discover beautifully appointed 1, 2 & 3 bedroom apartments for rent in Van Nuys, CA. 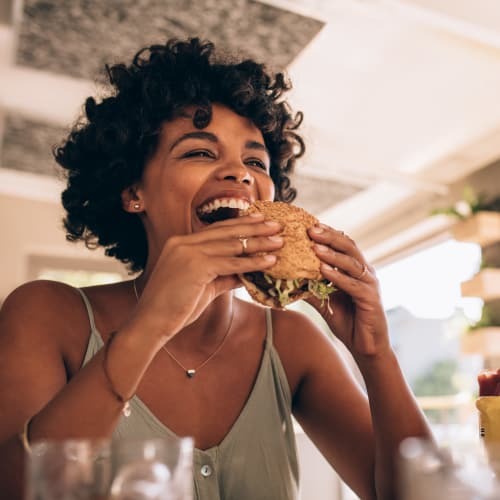 All of our homes include full-size washers and dryers as well as fully equipped kitchens with stainless-steel Kenmore ENERGY STAR appliances and quartz countertops. 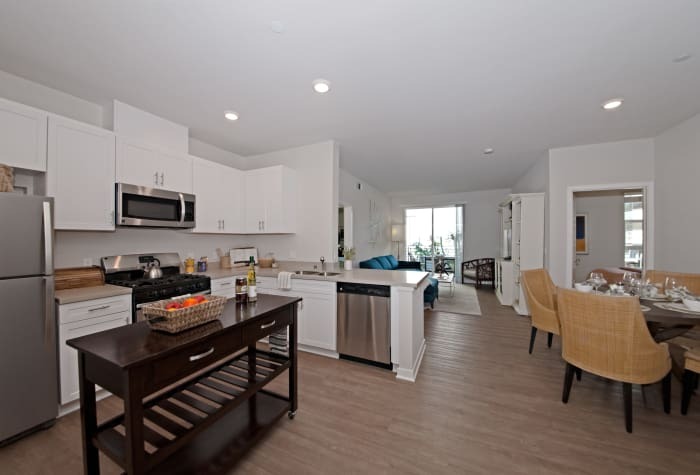 Enjoy meals in the formal dining room, and never feel tight on space with a kitchen pantry and walk-in closets. 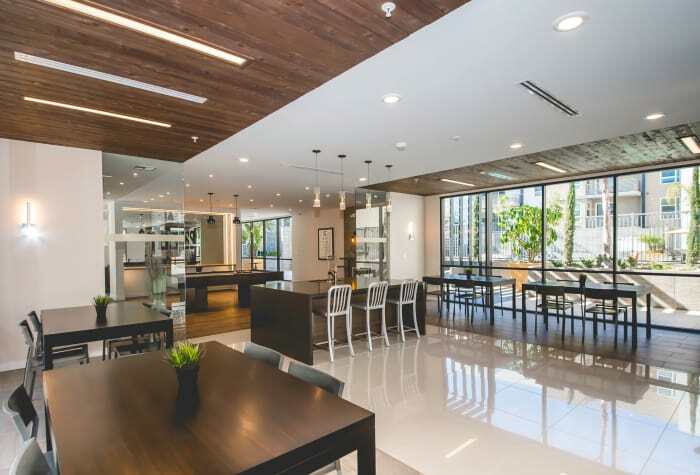 Sustainability is high among our priorities at IMT Sherman Circle. 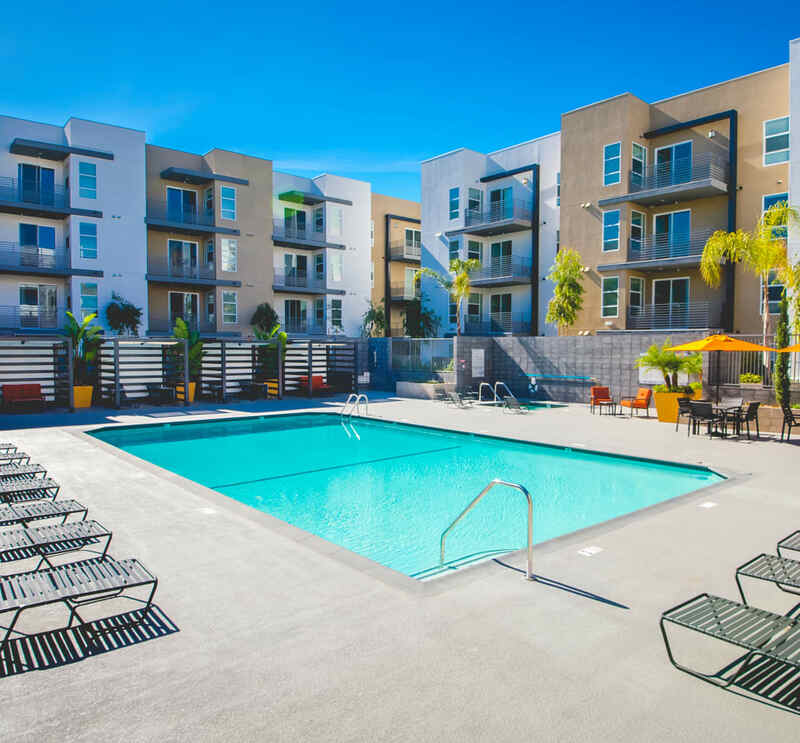 We strive to provide our residents with eco-friendly apartments in Van Nuys, CA. The apartments at IMT Sherman Circle include dual-pane windows, which help prevent excess energy loss. Tankless water heaters and low-flow plumbing fixtures help reduce the amount of water used throughout the community. Welcome home to your new community. 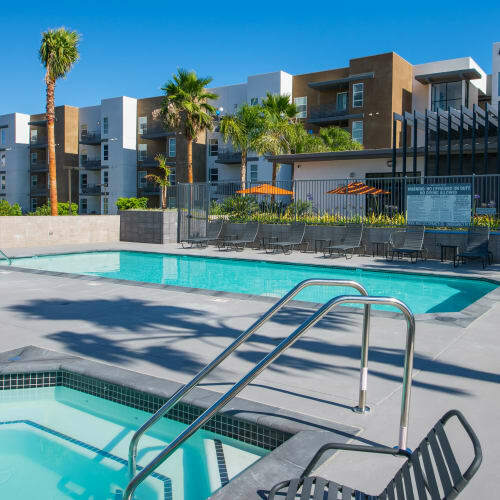 At IMT Sherman Circle, we have created the ideal Van Nuys apartment community in a convenient location. 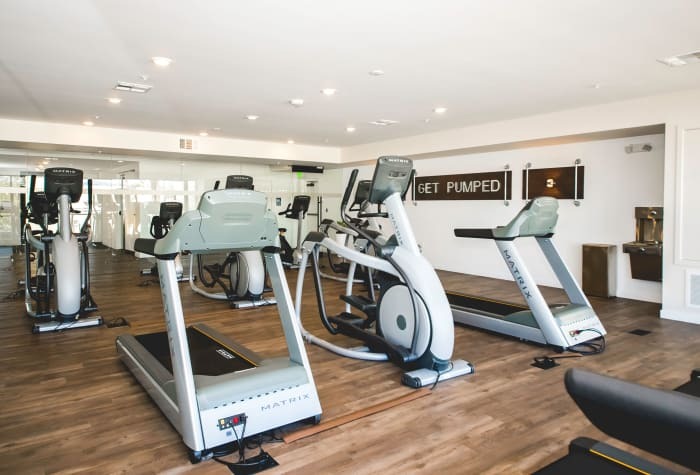 When you call IMT Sherman Circle home, you can enjoy the amenities of an active apartment community. 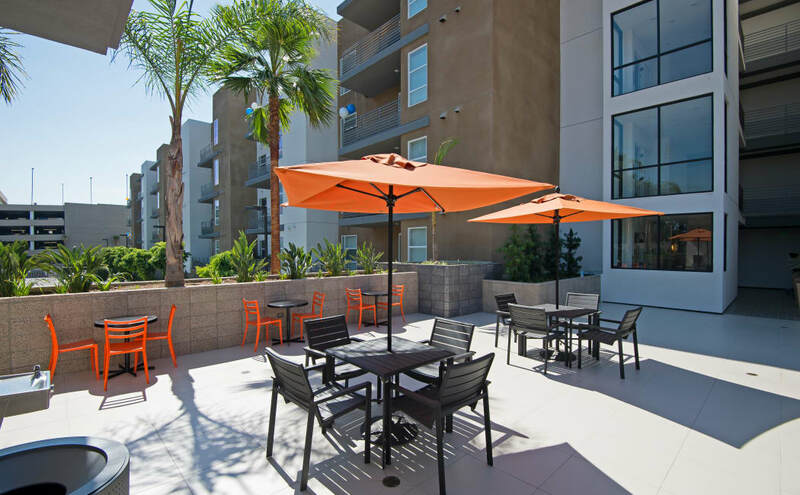 Entertainment takes center stage at our apartments for rent in Van Nuys, CA. 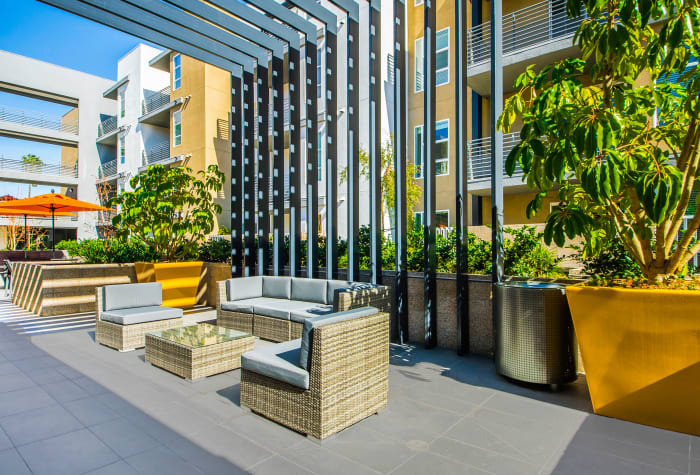 With a variety of outdoor entertainment spaces, you’ll enjoy lounging by the outdoor fireplace. 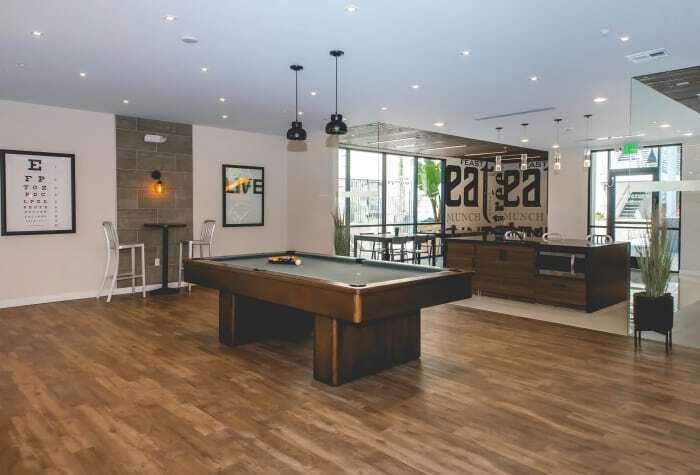 Spend time at the two entertainment pavilions, which feature a pool table, TV lounge, and dining area. 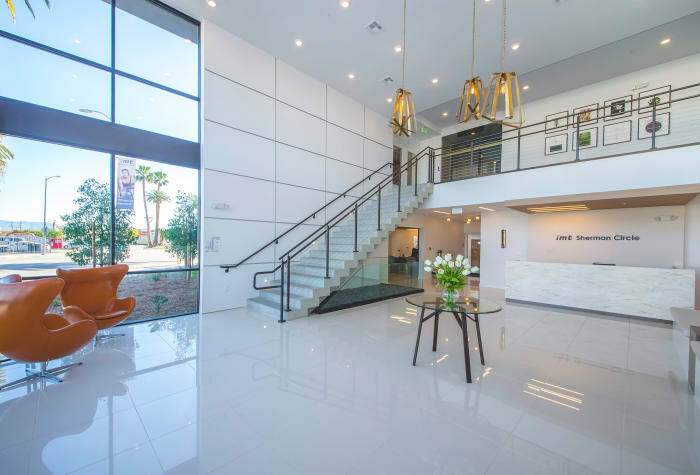 Living at IMT Sherman Circle in the San Fernando Valley offers residents a convenient location moments from Sherman Oaks and Sepulveda Boulevard. 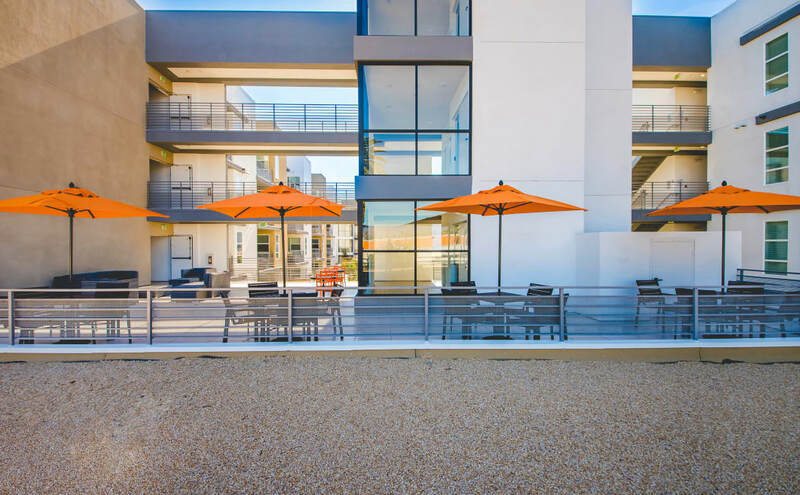 Enjoy the close proximity to shopping at Sherman Oaks Galleria, as well as casual and fine dining options. 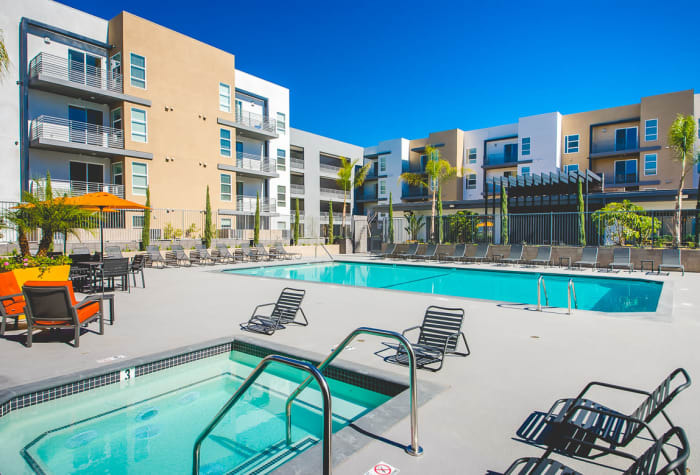 Van Nuys and the Sherman Oaks area also include a variety of major employers, and easy access to the 405 and Highway 101. 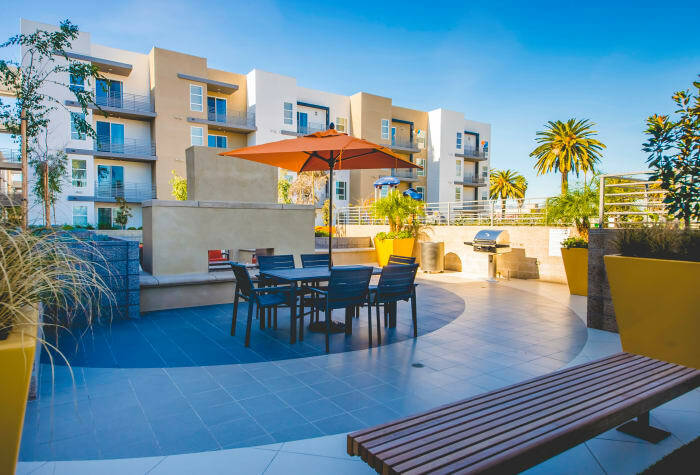 Living at IMT Sherman Circle places you 16 miles from the Los Angeles metropolitan area, which opens up a world of possibilities. 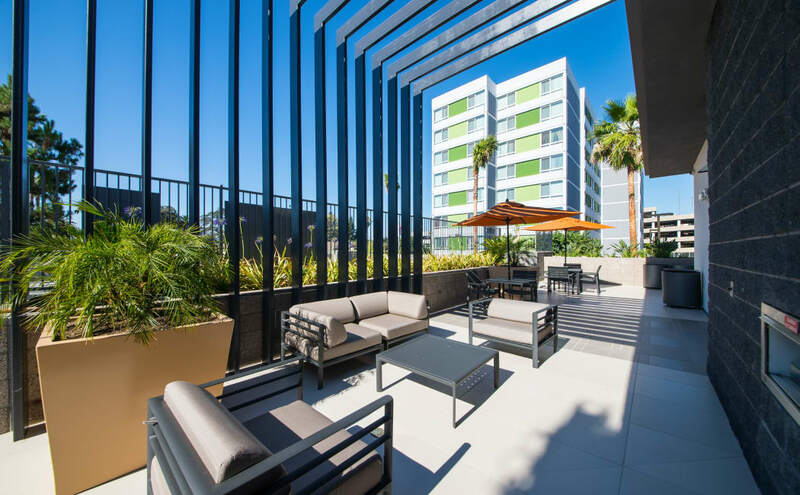 IMT Sherman Circle proudly offers pet-friendly apartments in Van Nuys, CA. We know you reserve a special place in your heart for your pets, and that coming home to a wagging tail brings you immense joy. 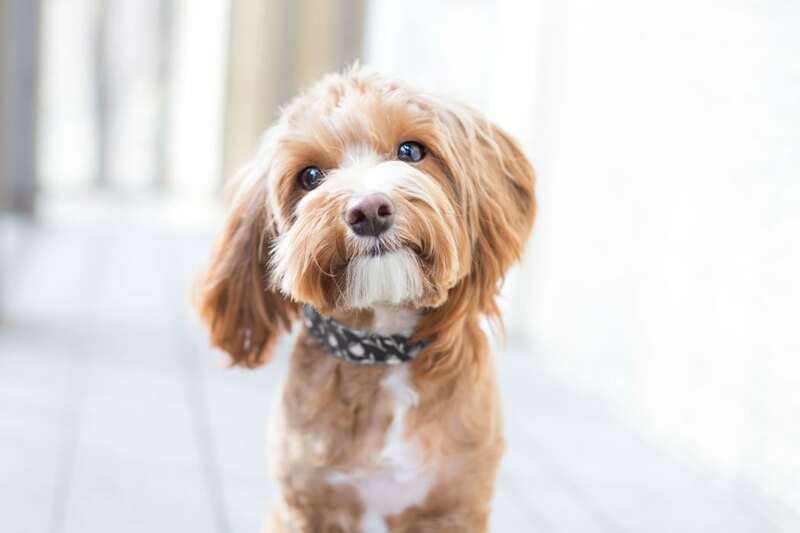 Our community welcomes your pets with open arms – and a scratch behind the ears. While we have no weight restrictions, some breed restrictions do apply. Contact us for more information about our pet policy.